A DIVISION OF REFLECTIVE INC.
Our 4" foil backed tape is simple to apply, will hold up in all weather conditions, and can handle light to moderate traffic and can be removed if necessary. It comes in white and yellow. Our preformed thermoplastic pavement tape is extremely rugged and can handle heavy traffic. It installs with a basic road or weed burning torch and has an extremely long life. It comes in white, yellow and blue and in several widths. 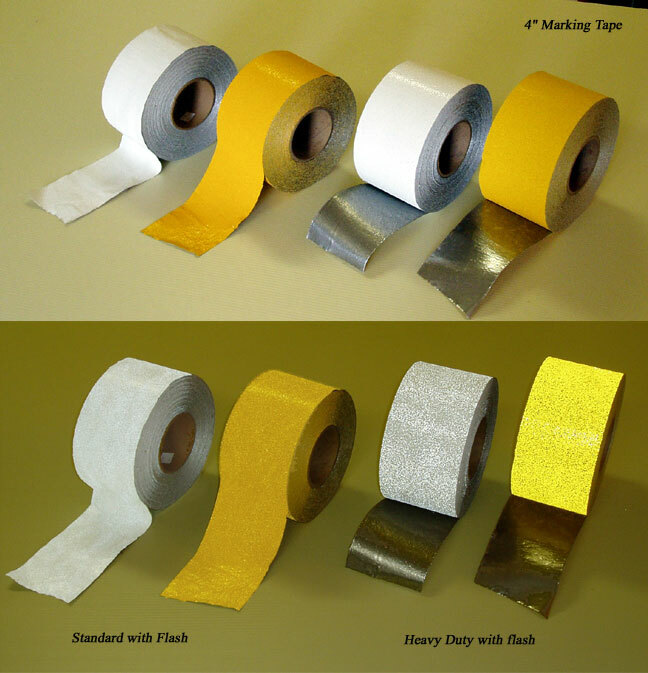 Foil Based Pavement / Road Marking Tape. Available in yellow and white and in standard and heavy duty grades. Very easy to install. Just apply to dry, clean asphalt or cement then press on the tape with your vehicle tire. Avoid twisting the tape. 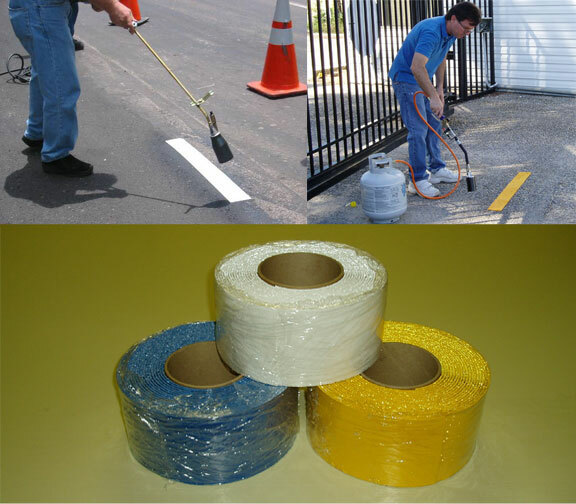 Preformed Thermoplastic Pavement / Road Marking Tape. Available in yellow, white and blue in standard 90 mil grade. Also available by the "CASE". Very easy to install using a road, roofing or weed burning torch. Preformed Thermoplastic Letters - 90 Mil Preformed Thermoplastic Letters. Melt down letters for roadways, parking lots and parking garages. Melts into asphalt and cement or concrete surfaces. Extremely durable. The prices above do not include shipping. If you have any questions or would like a sample please contact us. Also, we can custom cut rolls to any width you need.